When Universal Pictures announced that the fourth installment in the Jurassic Park film franchise was going to become a reality in 2015, many wondered if a new film could live up to the greatness of the original. While the sequels were on the iffy side of quality, Jurassic World hopes to rebuild the once-popular film franchise. 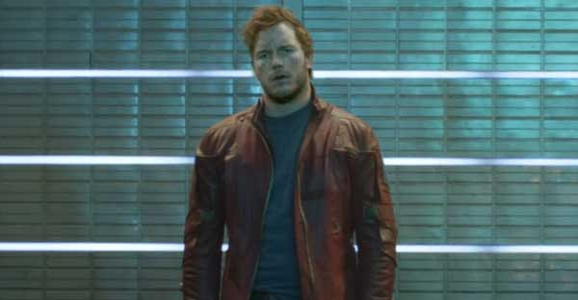 Now actor Chris Pratt (Parks & Recreation, Guardians of the Galaxy) has confirmed that he will star in the new film. In an interview with PR Record Gazette, Pratt confirms and talks about his role in Jurassic World. Pratt is playing a character named Owen, a “rugged ex-military” man who will clash with Bryce Dallas Howard’s character, who is apparently a scientist for the Jurassic World theme park. It was previously believed that Pratt and Howard would play the parents of a family that journeys to the theme park and gets caught up in danger with their kids, to be played by Ty Simpkins and Nick Robinson. However, according to PR Record Gazette, that’s not the case. For me, Jurassic Park was really kind of my Star Wars. I lined up at the theatre to see it, I saw it opening night, I saw every sequel, I’ve seen it a whole bunch of times… for me that was my big movie, I think I was 13 or 14 when it came out. And so it’s a big deal for me to be any part of that, let alone this part I’m going to be playing. I’m thrilled about it. While plot details are still murky at the moment, director Colin Trevorrow tweeted an image of the original film’s location and implied that the new entry into the series will take place where it all started, at Site A on Isla Nublar, off the coast of Costa Rica. It’s also believed that Jurassic World takes place some 20 years after the events of the original movie, and that it unfolds at a fully operational water theme park featuring various aquatic dinosaurs. (That explains the name Jurassic World, which mirrors the real-life SeaWorld water parks.) The story is said to involve a new aquatic dinosaur being introduced to the park, but soon breaking free and wreaking havoc. Jurassic World is expected to go into production this summer in Hawaii with Frank Marshall and Steven Spielberg on board as the film’s producers. Trevorrow co-wrote the script with Derek Connolly (Safety Not Guaranteed), which was based on Rick Jaffa and Amanda Silver’s (Rise of the Planet of the Apes) original screenplay. Jurassic World hits theaters everywhere on June 12, 2015, in 3D and IMAX.